Going on a vacation is a joyous occasion that will help you relax and take your mind off everyday stress. However, if you’re an active person who loves nothing more than staying in shape, you can’t spend your time doing nothing but eating all day long. You need to keep your body fit, lose some weight, and boost your strength, even though you’re supposed to be taking it easy. So, if you too are part of the gay community and wish to stay fit on your vacation, here’s what you need to do. No matter what kind of vacation you’re going on – a cruise, a road trip, a visit to a foreign country, or something else – eating healthy food is essential. You can prepare your food yourself or rely on local restaurants, but insisting on eating three healthy meals a day is what’s ultimately going to make you fitter than ever. This might not be easy, especially if you’re surrounded by tasty street food options people generally love when they’re far away from home, but it’s still doable. You just have to get organized, know when your meals are and what you’re going to eat – keep in mind that eating healthy food means you can try out new recipes and ingredients you don’t usually use, and as long as you stick to healthy food, you can eat as much as you want. Yes, being on vacation means you’re supposed to relax and do something you don’t usually do at home, but that doesn’t prevent you from hitting the gym every once in a while. Most modern hotels are equipped with a gym, and you usually don’t have to pay for it if you’re staying in there, so there’s no reason why you shouldn’t do that. Taking an hour or two out of your busy vacation schedule might mean more than you can imagine, and this is an idea that really goes a long way, especially if you already have an established gym routine and know what you’re doing. Just a few exercises and thirty minutes on the treadmill will be enough, and then you can go back to enjoying your time away from home. Working out in a new gym and a new environment means you can try out new exercises and routines you don’t have time for back home. Even if you’re the biggest fan of working out in the world, there must be a few things you haven’t tried yet, and hitting the gym on your vacation might be the perfect opportunity to do that. Whether it’s lifting weights, trying out new cardio equipment, or pushing your boundaries further than before, just stop thinking about it and start actually doing it! Of course, you’re going to need some help, so talk to personal trainers in your hotel gym and ask them to give you a hand, show you around, and help you reach your full potential. If you’re planning on lifting weights, for instance, you might want to consider packing some comfortable bodybuilding clothing that will help you look good and give you that extra push you’re looking for. You need to do this beforehand, though, so start packing as soon as possible. 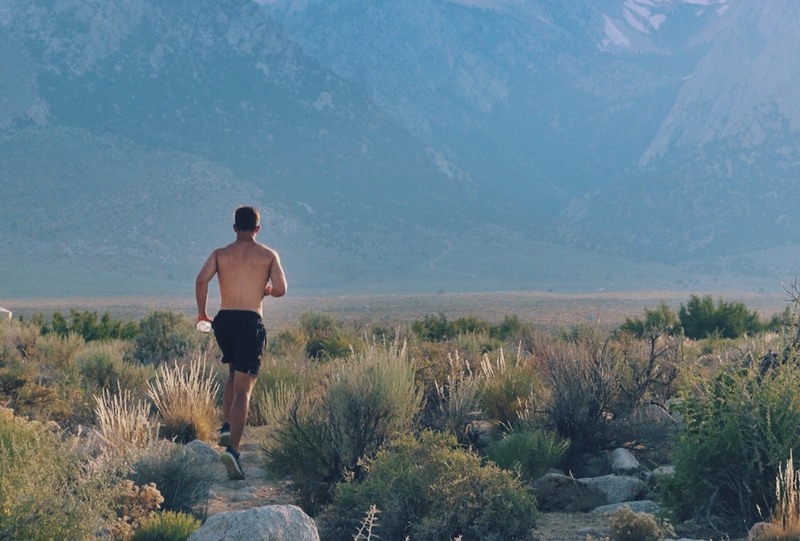 Running is probably the healthiest and easiest way to stay in shape, not just at home, but on your vacation as well. Therefore, you need to find time for a quick run in the morning or evening, and you won’t believe how much this will help you stay in shape. 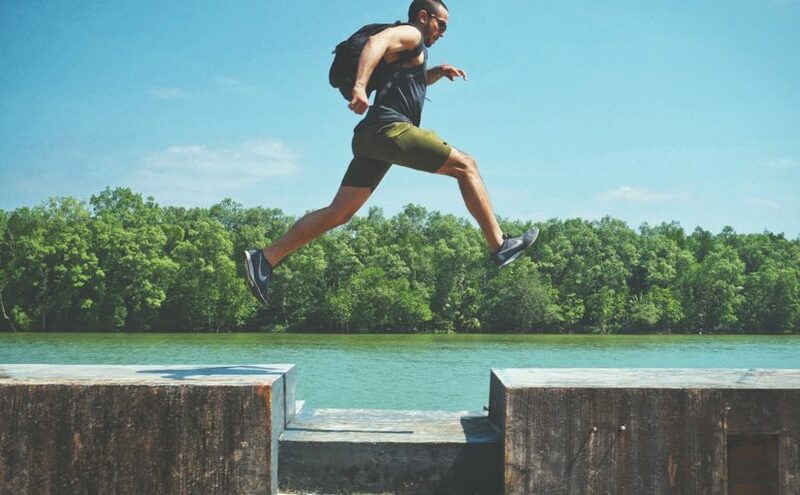 Running in an unknown town could seem strange at first, but it’s one of the best ways to check out the place you’re visiting and get familiar with its parks, beaches, forests, and other outdoor locations suitable for running. In the end, this will get you energized and pumped up, and you’re going to enjoy your vacation more than ever before. Staying fit on your gaycation isn’t easy, but it’s not impossible either. All you need to do is get organized, stay active and find ways to eat healthy food – these are the things that won’t just prevent you from gaining weight, but will actually help you lose some in the process as well.